Lack of any gaming has seen enthusiasm waning for painting Lord of the Rings miniatures, so I've had a change of direction and started repainting some heroclix minis. They've been a lot of fun to paint, although the sculpt quality is very variable. 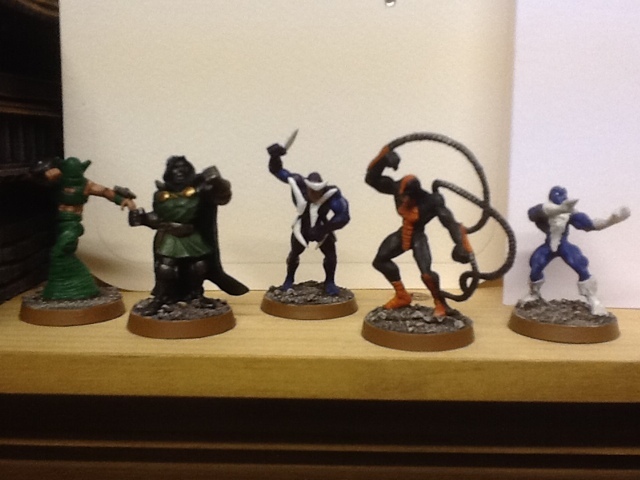 So far I've finished Cyclops, Beast and Daredevil, and Dr Doom with some minor villains. More on the way soon. Sorry about the photo quality, I'm still getting used to my new ipad. 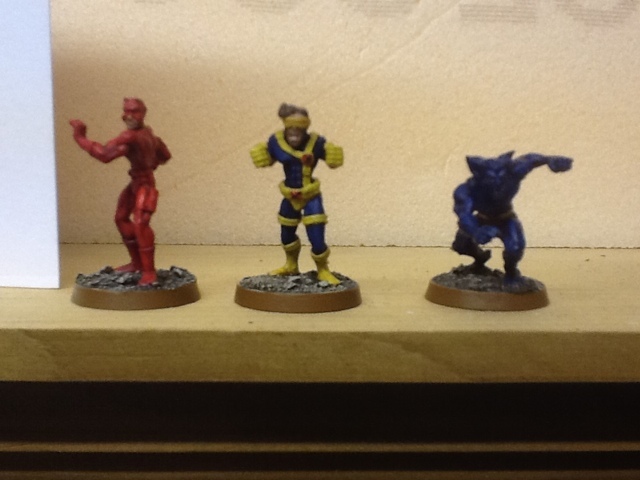 I must say that after seeing these I'm going to start painting up my Heroclix collection.